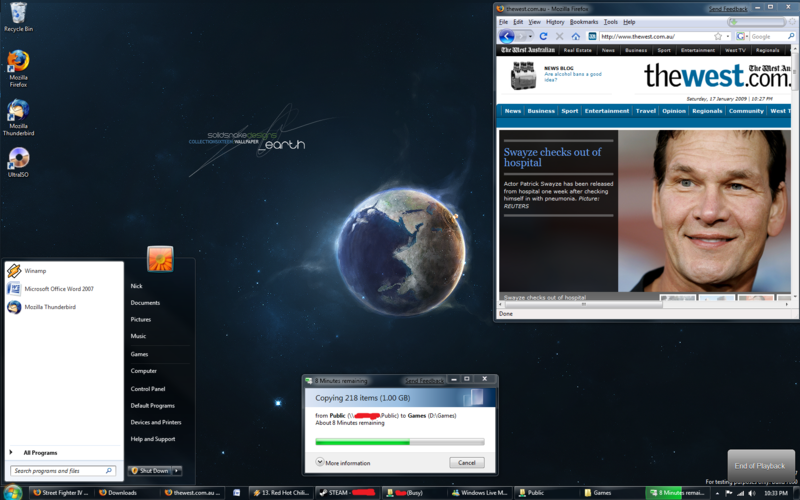 Windows 7 Beta and How Great and Stable and Pretty it is. | Fruit for Thought! Windows 7 Beta and How Great and Stable and Pretty it is. Windows 7 – Looks great, runs great. Minimal compatibility problems, and far improved support facilities, including a user-friendly program-compatibility interface. And a plethora of desktop friendly things too, including smarter grouping, a greatly improved notifications bar, and movable gadgets. Over the past few years, you’ve asked us to make some changes to Windows. We listened closely. Now it’s time to share an early look at how we’ve used your feedback. Windows 7 is faster, more reliable, and makes it easier to do what you want. Both the everyday things and the killer “is that really possible?” things. Dig into this site to see what’s coming.